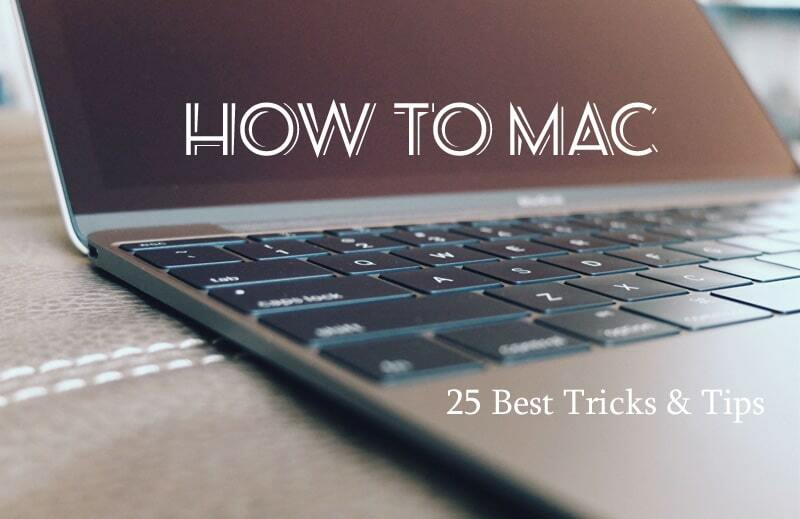 The below are 25 most commonly used how to Mac tricks for the OS X beginners. You can set this up in preferences. Go to System Preferences > Energy Saver > Schedule… Check off the Start up or wake box, and setup the time and frequency. Go to your Keychain Access under Utilities. Double click on the entry with the wifi network name and click show password. In Terminal you can write the defaults write com.apple.Finder AppleShowAllFiles and press Enter. The next step is to restart the Finder by holding down Option while clicking the Finder icon in the Dock and holding. Drag down to Relaunch. To reverse the process, use NO instead of YES in the Terminal command, then relaunch the Finder. If you’re a Mac owner you know that every time the Mac reboots or starts up it makes a startup chime sound. Though you can temporarily mute the chime by holding down the Mute key on any Mac keyboard, you can also choose to disable it completely by turning to the command line. 7. What’s the best way to migrate data from an old Mac to a new Mac? You can use Migration Assistant to transfer important information, such as user accounts, applications, network and computer settings, and files, from one Mac computer to another via a FireWire cable or over a wired or wireless network. Install iTunes on your computer . Find “Options” and check “Enable Disk Use”. Open “My Computer”, and double click “My iPod” to open it. Click “Tools” in the toolbar. And then click “Folders > View” and tick “Show hidden folders and files”. Open “My iPod > iPod_Control” and then you will see all the iPod music in that folder. Select the music ,transfer and copy music to computer. 1. Connect the device to your computer. iPhoto should automatically open its import window and show your device’s images and videos. If iPhoto doesn’t open, you might need to turn the option on. 2. Click Import All. Or if you want to import specific items, select those images and videos, then click Import Selected. After your photos import, a dialog will ask you if you want to delete the original photos from your Camera Roll. 3. Choose Delete Photos or Keep Photos. If you delete photos after you import them, you can reduce the size of your Camera Roll and improve backup and restore times. If you want to import the photos to additional computers, keep your photos. This is pretty easy on a Mac. First of all, launch preview (finder>applications>preview) and open the pdf file. Second, if thumbnails are visible, just click the thumbnail of the pdf you want to merge and drag it to the thumbnail of the pdf you want to merge it with and it will automatically be added to the end of the destination pdf. Make sure to select “file” and “export as pdf…” and save the combined file. That should take care of it, although if thumbnails aren’t visible, you will need to click “view > thumbnails” to make them visible before you can do the second step. It’s more likely that you have an IP address conflict than a MAC address conflict. Each HP printer is a little bit different; the more expensive ones may let you reset the ip address through the front panel; ones without a front panel usually have to be controlled through the Web JetAdmin utility. Yes, you can do it surprisingly easily in fact. 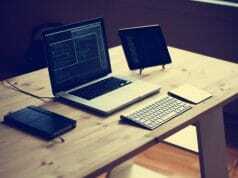 You will need to install VirtualBox, set up a Linux VM, and install and run Android-X86. If you’re working on Mac, simply press “Cmd + Shitf + 4” to do the trick. Your mouse will turn to a cross-hair, letting you drag a region on the screen to create a snapshot. Images generated this way will be available on your desktop. You can use the free and open source VirtualBox software. It will let you run Windows, Linux, etc. right on your Mac. I have it installed on my Macs and it works great. You can also run Windows in a separate partition via Boot Camp. The menu bar has been a fixture on the Mac since it launched in 1984, but for the first time ever, you can hide the menu bar in OS X El Capitan. Open System Preferences, go to General, then click “Automatically hide and show the menu bar.” When you tick this box off, the menu bar will reappear as you glide your mouse arrow towards the top of the screen, allowing you to get at all your menus. In versions of OS X before Yosemite, renaming a group of files at once either meant third-party software or rolling your own rename script using something like Automator or AppleScript. Now, though, you can just select a group of files and then select Rename either from the right-click contextual menu or from the drop-down button marked with a cog icon in Finder windows. When you do, you get the option of adding text, replacing text, or applying a format such as a name and an automatically incrementing counter. Working with two windows or apps side-by-side became much easier in OS X 10.11 El Capitan thanks to Split Screen view. By holding down a left-click on an app’s green maximise button in the top-left hand side, you can then drag it to be positioned on the left or right-hand side of the display. You’ll then need to pick a second open window or app to snap to the opposite side. Split Screen obscures the launcher and OS X’s Menu Bar, so you get a bit more screen real-estate and fewer distractions. Dividing the separating line between the two apps lets you make them smaller or larger, which can come in handy for keeping an eye on live information such as sports scores at one end while being productive on the other. Safari can now claim to offering a true fullscreen mode with the added option to auto-hide the menu bar when browsing. Simply select View in the menu bar and uncheck Always Show Toolbar in Full Screen. Yosemite comes with a Dark Mode, which can be accessed by going to System Preferences > General and checking the ‘Use dark menu bar and Dock’ box. This significantly changes the look of Yosemite. The menu bar and its drop-down menus will now be a dark, slightly translucent charcoal colour. Almost every app you use will now have dark menus. The Dock will also be notably darker, but like the menu bar it will also retain some of its translucency. This is a great feature that can help battle excessive glare from your screen, plus it looks pretty good too. Holding down the alt key while clicking on the Wi-Fi icon on the top right of your menu bar will provide a list of extra options and information. One of those options allows you to disconnect from a network without shutting off your Wi-Fi altogether. This is useful if you’d still like Wi-Fi networks to be discoverable, but for whatever reason you do not want to be connected to the network you’re currently using. In previous versions of OS X you could only turn Wi-Fi on or off from the menu bar, with any additional control or information requiring users to root through System Preferences, which was both inconvenient and a bit of a faff. The menu also displays useful technical information related to the network you’re connected to, such as your Router Security, IP Address, PHY Mode and Country Code. If you’ve ever wanted to record your iPhone’s screen, this is the easiest and quickest way to do it. First, you’ll need both the latest version of Yosemite and iOS 8. Next, connect your phone to your Mac with a lightning cable. Then, open QuickTime and Select File > New Movie Recording. You should now be presented with your own face, because Yosemite defaults to your front facing camera. To change this, click the down arrow next to the red record button and change the camera from FaceTime HD Camera to your iPhone. Now when you push record, you’ll be recording your iPhone’s screen. Thanks to Continuity, any SMS messages you receive on your iPhone can also be read on your Mac, even if the person you’re texting doesn’t own an Apple device. What’s more, you can also send SMS text messages via your Mac using the same feature. To do this, make sure you have the latest version of iOS and that you’re signed into iMessage on your iPhone. 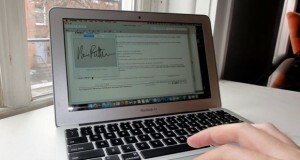 You also need to be signed in with the same Apple ID on your phone and your Mac. Now take your iPhone and go to Settings > Messages > Send and Receive > You can Be Reached By and make sure your email address and phone number is selected. Go back to Messages and under Text Message Forwarding, select the device you wish to use. After you’ve entered a security code, you should be able to send and receive SMS messages from your Messages app on your Mac. That’s it. In this Display pane of system preference you can increase/ decrease or adjust Primary and Connected display resolution. At bellow you can learn both kinds of options you can follow any one as you’ve to need. Press the options key while you click on scaled option to see additional resolution for the second display, now you can adjust the scaled for secondary display.